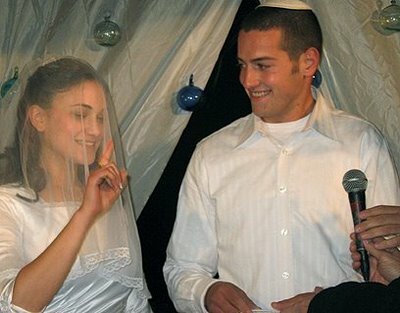 Home » Uncategorized » Mazal Tov to Recovered Groom-Soldier Aaron Karov and Wife! This past December, I posted “A Chanukah Miracle,” an interview with recovered war hero Aaron Karov, the idealistic IDF lieutenant who was nearly killed in the Gaza War several days after his wedding. Karov’s surprise recovery was hailed by his doctors as nothing short of a modern miracle. And yesterday, this exceptional young man and his equally exceptional wife, Tsvia, who allowed for her husband to leave for the War less than 24 hours after their chuppah, and then stood by his side through the darkest moments of his long and tortuous recovery, surprised us once again when they became the proud parents of a newborn baby girl. May Aaron, Tsvia, and their families continue to be blessed with an abundance of good news and happy occasions from now on! with many tears in my eyes, wishing the new abba and ima much nachat and good health with their new baby!